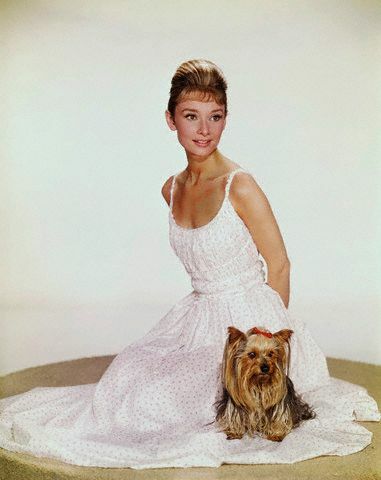 Maltese and Yorkies have been favorites of celebrities and stars – even royalty – for centuries. Queen Elizabeth I had a Maltese in the 1500s, and Yorkies were on trend in Victorian England. 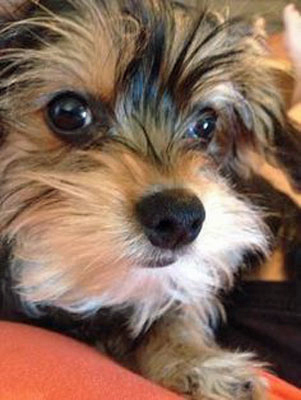 Now, their offspring, Morkies, are finding favor with today’s rich and famous. Who Doesn’t Love a Morkie? 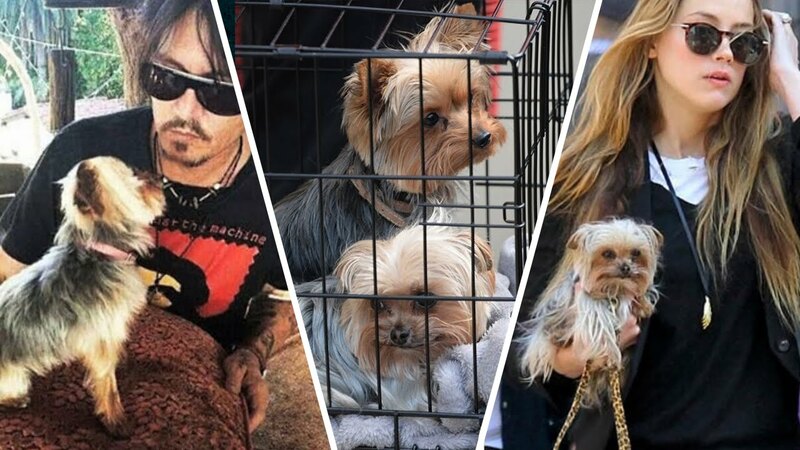 Britney Spears, an avowed animal lover, has always taken comfort in her pets. 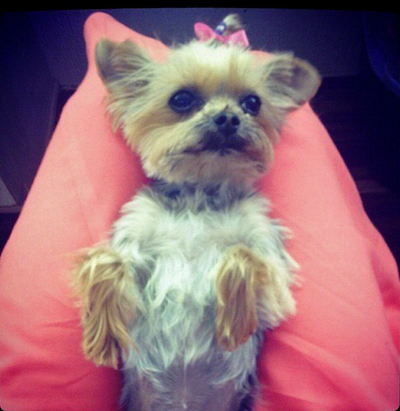 So how perfect is it that she’s had a Yorkie, a Maltese – AND NOW HAS A MORKIE! 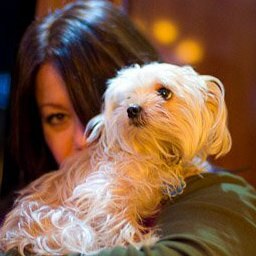 Here’s the superstar with her little Maltese, Bit Bit who has always been her great consolation and joy, through divorces, meltdowns and scalp shaving! 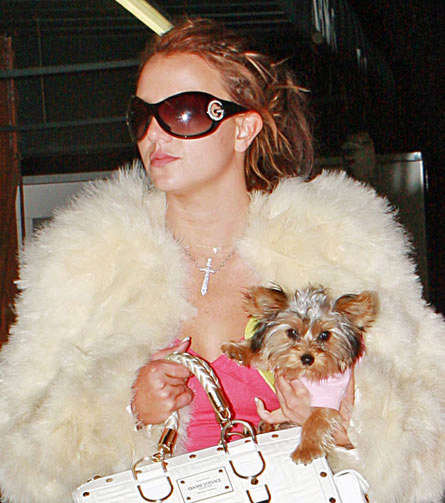 It’s reported that Britney has a Chihuahua, a Maltese, 3 Yorkies and now a MORKIE. 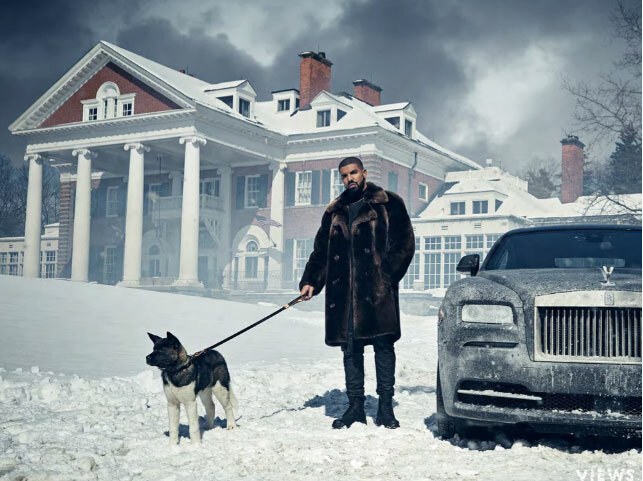 World famous rapper and Toronto sun Drake is pictured here with his new Morkie; in the other picture, he is seen with his massive “American Bully” called Winter, at Langdon Hall outside of the city. No word on how the two dogs get along. Jessie has been a Morkie fan since he got Leaf in 2010. 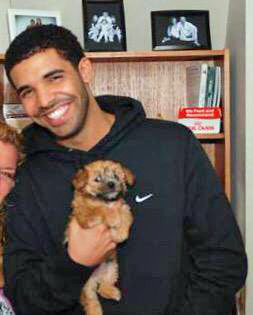 Since then, he’s appeared as a spokesperson for Purina ONE’s adoption program. 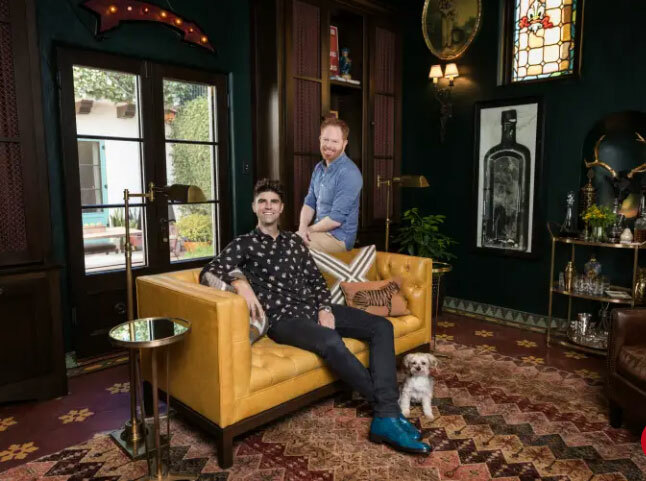 Ferguson with husband Justin Mikita, pictured in front of their new home with Leaf and Sam. 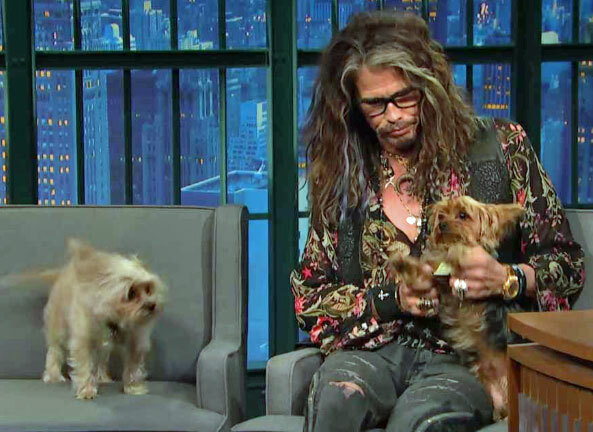 The legendary rocker brought his little guys Butch Cassidy and the Sundance Kid to “Late Night with Seth Meyers” recently, where he explained that after seeing the two dogs for the first time he just felt like they looked like the classic Western movie. 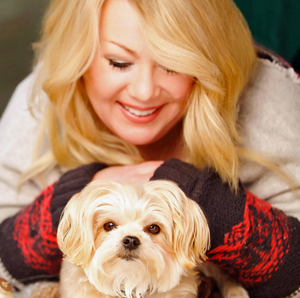 Singer-songwriter Jann Arden with her Morkie named Midi, who joined Jann in 2008. In an interview with the Toronto Star, the singer admitted that Midi (short for Midler) is not a big music fan and in fact, does not like Jann’s singing. Not at all. Rossum is a big believer in animal rescue and she walks the talk. In addition to Cinnamon, Emmy is also ‘mom’ to a Chihuahua named Sugar and a Lhasa Apso mix named Pepper. 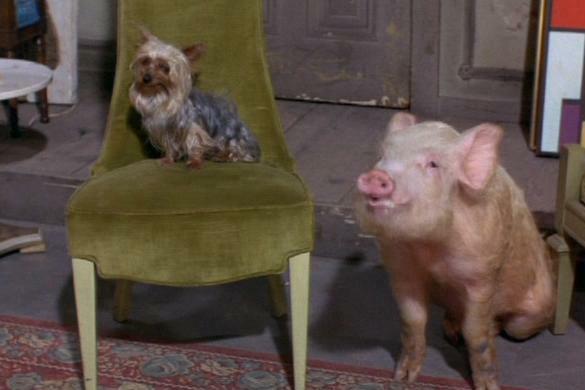 Toto was pivotal in the plot of the Wizard of Oz. 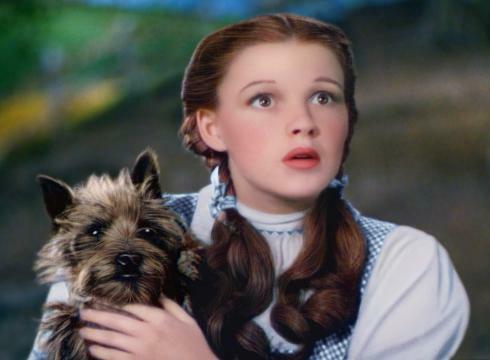 In the 1939 movie classic, The Wizard of Oz, it’s clear that Toto was a Cairn Terrier. But the book that inspired the movie, The Wonderful Wizard of Oz, features illustrations of Toto that make him look a lot like a Yorkie. 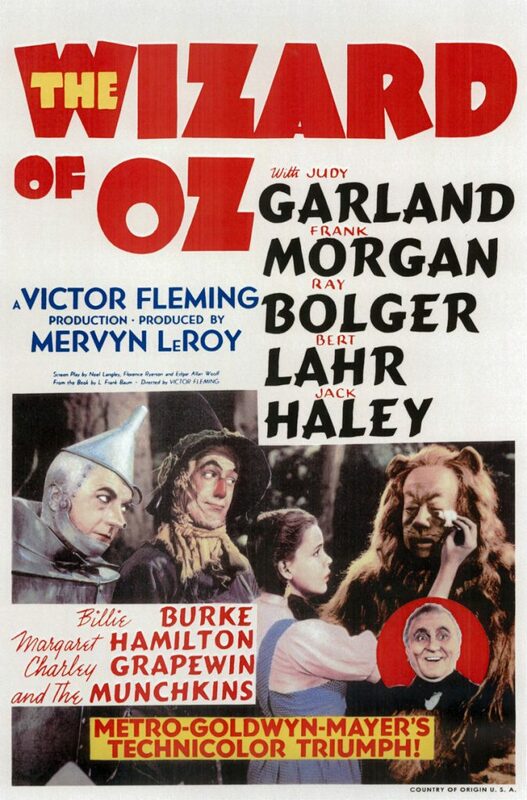 The Wizard of Oz movie starts with a bang when Dorothy’s nasty neighbor, Miss Almira Gulch, threatens to have the young girl’s dog, Toto, put down for biting. The dog manages to escape the clutches of Miss Gulch and run back to Dorothy. At this point, Dorothy and Toto run away from home, just as a tornado hits….and the fun begins! 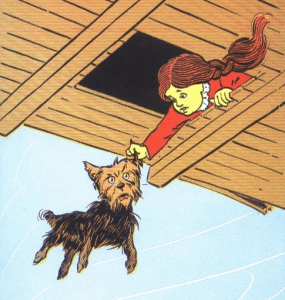 In Denslow’s illustrations, Toto was a scruffy-looking little dog. 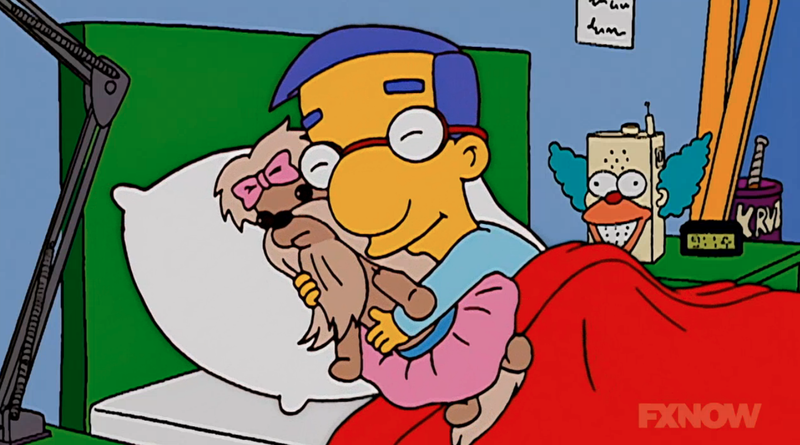 Many fans argue that in the book, Toto was clearly a YORKSHIRE TERRIER. His personality matches a Yorkie too: brave, protective and smart! 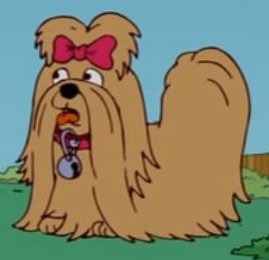 Supporting this theory is the fact that Denslow himself owned a Yorkie. 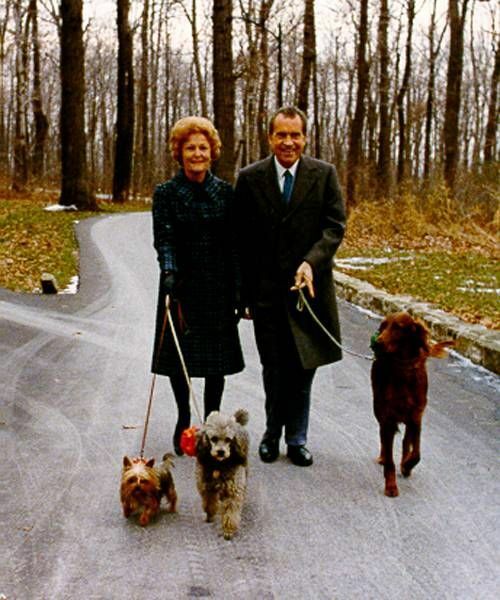 The breed was quite popular at the time, so it’s possible. 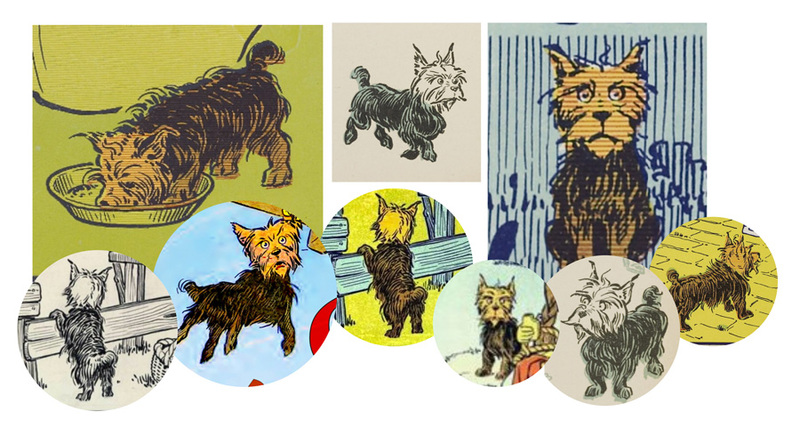 The Oz books don’t spell out Toto’s breed, but the illustrations certainly look a lot like a Yorkie. 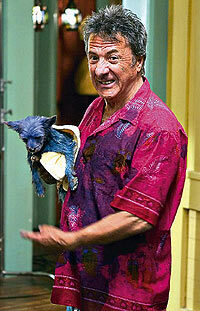 Toto in the movie was a female Cairn Terrier called Terry. 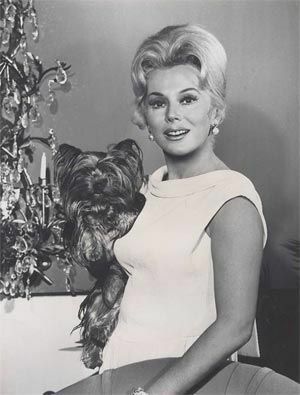 Owned by Carl Spitz, Terry was in 10 other blockbusters, including some with Shirley Temple. In the Wizard of Oz, Toto made more than many of the actors, earning $125 per week (equivalent to $2,200 a week today). 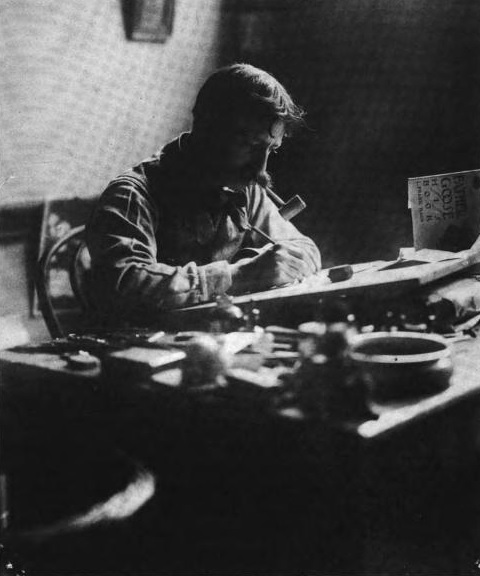 An American illustrator and caricaturist remembered for his work in collaboration with author L. Frank Baum, especially his illustrations of The Wonderful Wizard of Oz. 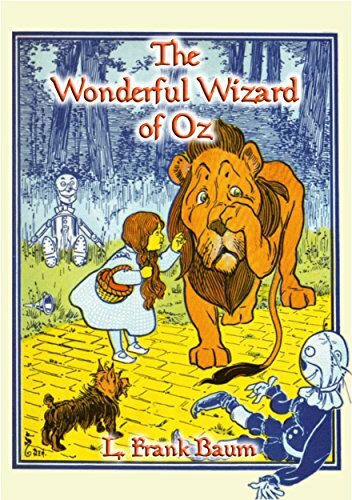 After the phenomenal success of The Wonderful Wizard of Oz, written by L. Frank Baum and illustrated by Denslow, the artist and the writer managed to quarrel with Baum, and refused to work with him ever again. Baum, always desperate for money, went on to publish 13 more volumes of the Oz saga, but without Denslow’s wonderful drawings. 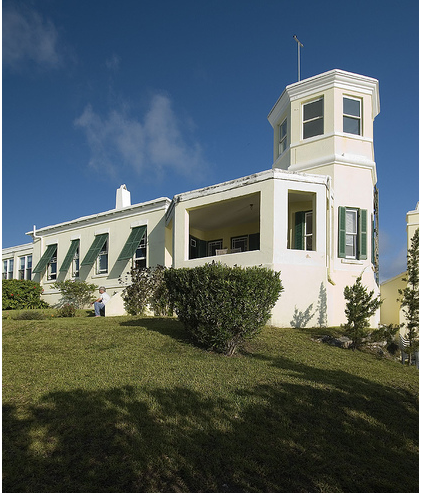 Denslow (and Baum) made so much money from the Wonderful Wizard of Oz book royalties, that he was able to buy an island off Bermuda, called Bluck’s Island in the Great Sound, and build himself a turreted castle-like house, pictured here. He then proclaimed himself King Denslow I.
Denslow was married and divorced three times. Go figure. 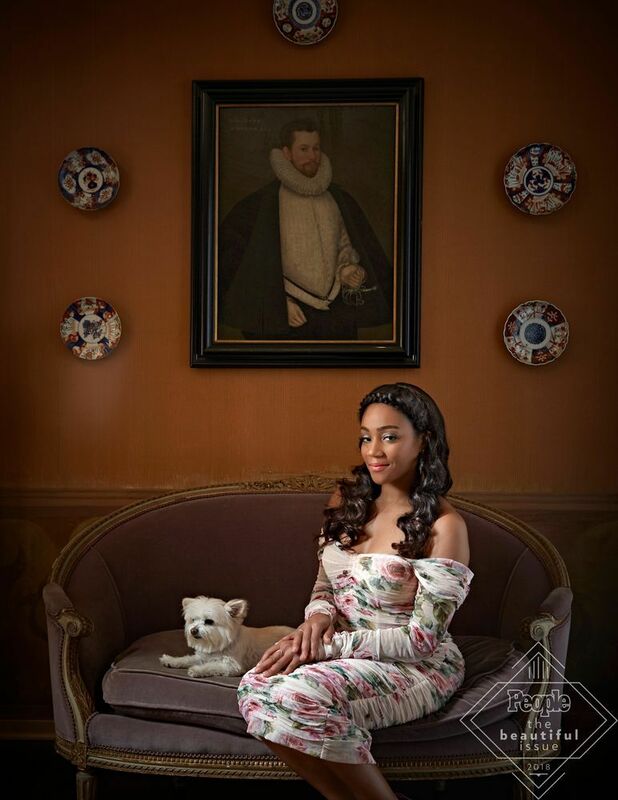 Meet the newest celeb Morkie fan – Tiffany Haddish and her Morkie, Sleeper. 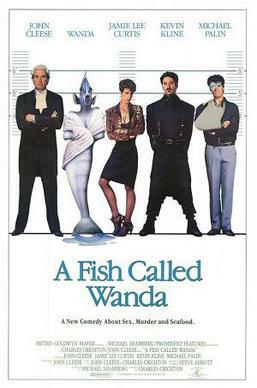 The actor/comedian had become friends with “an older lady” who owned the Morkie. The lady suggested that Tiffany take the puppy home and bring her back for visits. Sadly the lady died shortly after, so Tiffany is the newest devoted member of Morkie Nation! Who doesn't love a Morkie! 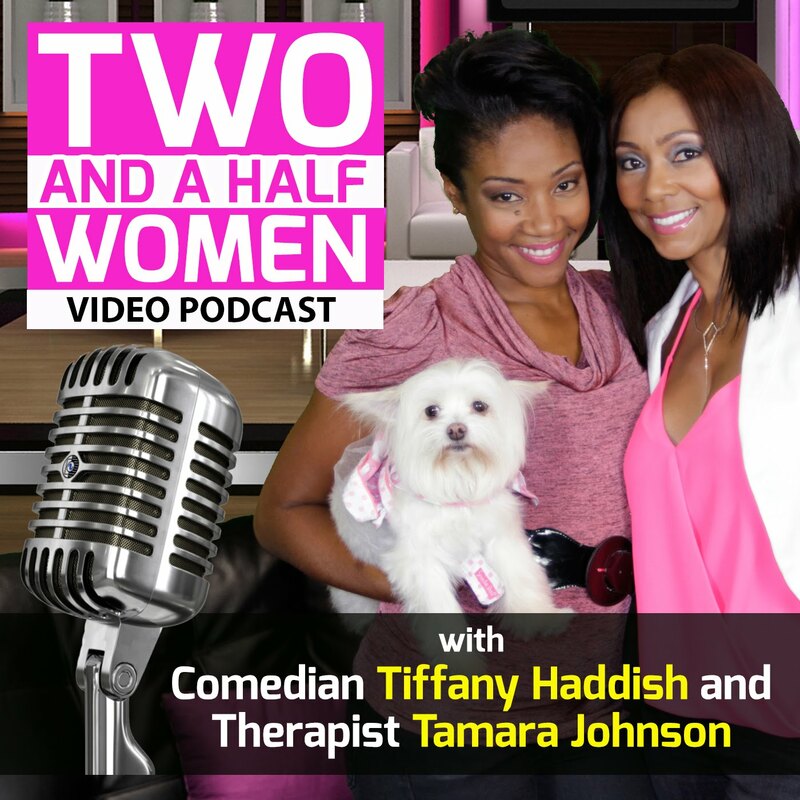 Tiffany Haddish on her late-night podcast comedy Two and a Half Women… Featuring Tiffany Haddish, Tamara Johnson, celebrity stylist Dwen “The Diva” Curry & comedian Donnell Rawlings. 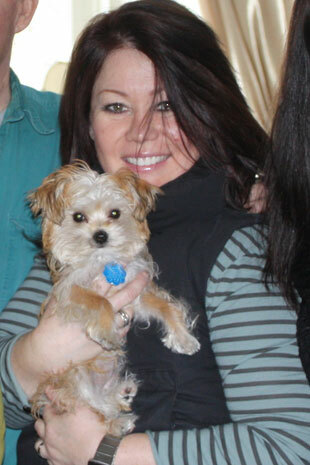 The “half” is Sleeper, Tiffany’s Morkie. 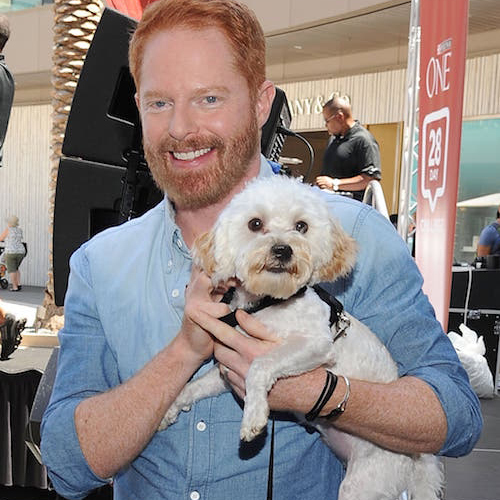 Which dog is the perfect pet for you and your family? If you’re like me, it can be really tough deciding between dog breeds. You can narrow them down, but it seems there are always two left and you just can’t decide. 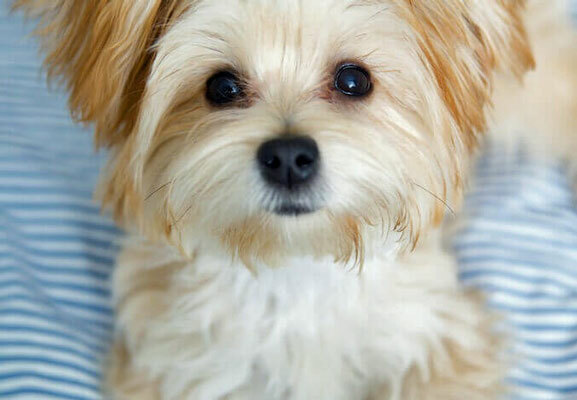 For me, it’s Yorkshire Terriers and Maltese Dogs, but happily, I can have “both” when I get a Morkie – the happy results when a Yorkie and a Maltese are bred together. Let’s take a look at all 3 breeds. Every now and then, a dog or a breed comes along that just steals your heart. 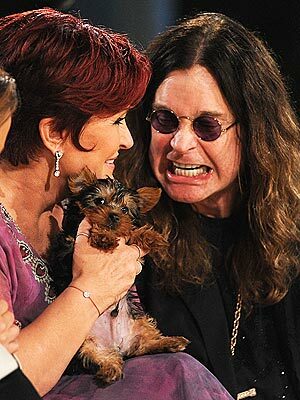 For many people, that dog is the Yorkshire Terrier. 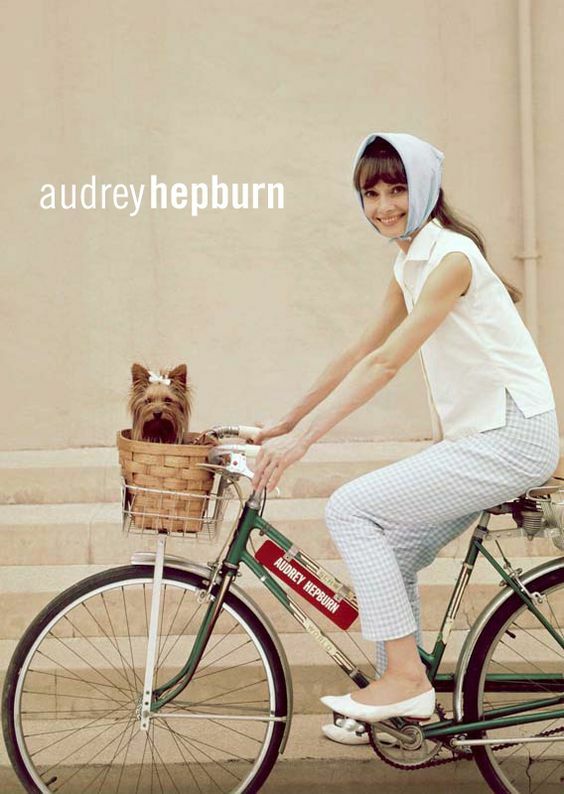 In fact Yorkies are the #6 most popular pure breed dog in America* and in some cities, like New York, they’re #1. 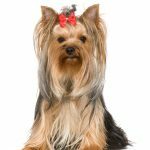 Yorkies are smart, energetic little terriers, in brown and tan. They are relatively new as far as pure breeds go, developed in northern England in the 1850s to work in coal mines and factories to catch and kill rats and mice. Those Yorkshire Terriers were much bigger – about 15 pounds at least — and were kept by working men to catch vermin. But when upper class ladies first saw these dog they fell in love and Yorkies soon left their humble beginnings for a more comfortable life. 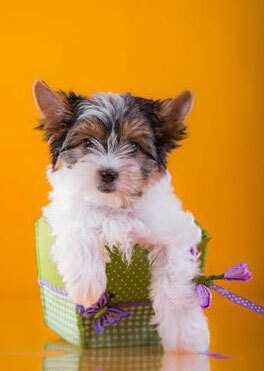 Often described as “feisty,” Yorkies may be classified by the Kennel Club as “toy dogs” but they are also real terriers – the ideal Yorkshire terrier character or “personality” is described with a “carriage very upright” and “conveying an important air” according to the Kennel Club of Great Britain. Though small, the Yorkshire Terrier doesn’t know it! 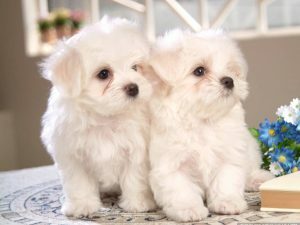 He is active, loves attention and should not show the soft temperament seen in lapdogs like the Maltese according to the breed standards, the official benchmark developed by the American Kennel Club. 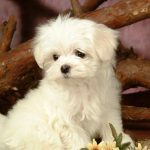 The Maltese dog on the other hand, is not as well known. 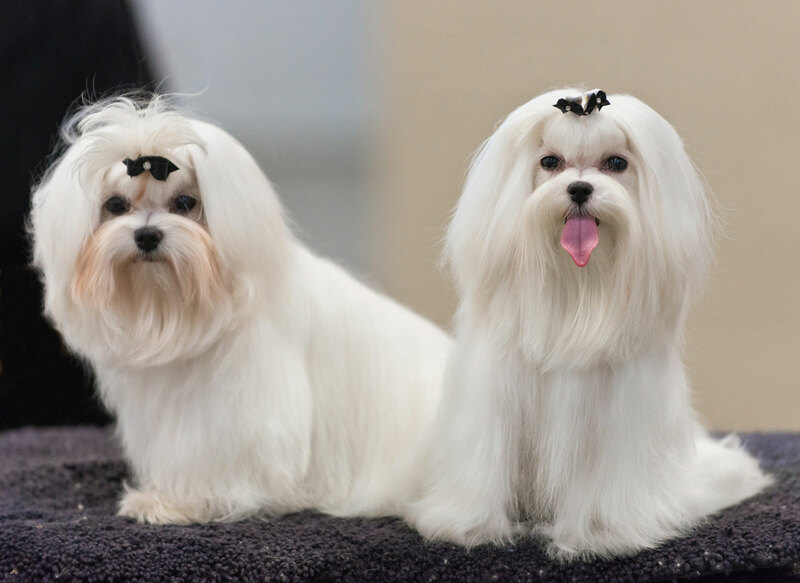 Maltese ranks as the 29th most registered breed in 2014, behind less common dogs like the Pomeranian, Havanese and the Pembroke Welsh Corgi. Maltese are an ancient breed, developed strictly as lapdogs since the time of Aristotle. Maltese descended from one of the original six dogs – a Spitz-like dog which was bred for hunting rodents in the marsh and wooded areas. The Maltese breed spread around the world because like gold, frankincense and myrrh, the Maltese was an exotic article of trade. Caravans took Maltese to the farthest reaches of the civilized world, including the Middle East, Tibet, China, the Philippines and Japan. Their most treasured qualities are their affectionate, loving natures and beautiful, pure white coats. 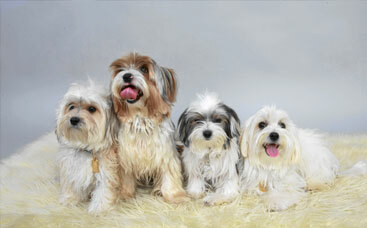 Maltese were bred to be super affectionate lap dogs, content to sit quietly for a great part of the day. They are very gentle and loving. Maltese were not bred to chase down mice and rats like the Yorkie. They weren’t bred to do any specific kind of work like many other breeds. They have no other purpose than to be a pampered pet. So it’s no surprise they are very sweet-natured. A symbol of wealth, Maltese were prized by the upper class, aristocrats and royalty and bred to be with people. That explains their engrained people-pleasing, loyal and affectionate behaviour. Order the ebook and learn more! 110 fact filled pages to help you decide which pet would fit best in your family. Instant download just $7.00 and of course, it’s 100% guaranteed satisfaction. More details. 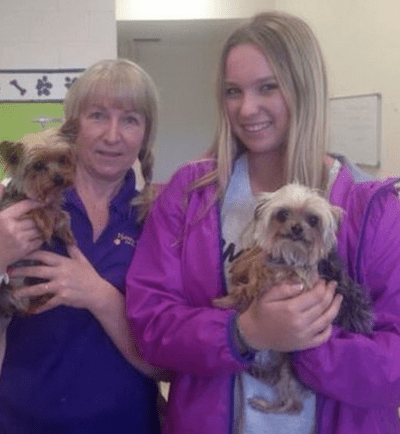 The Morkie – the best of both worlds? 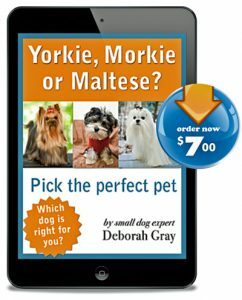 Both the Yorkie and the Maltese are wonderful companion animals, with plenty in common, but enough differences to make their offspring – the Morkie – a very interesting little pup too. If you decide to go with a Morkie, you’ll find the characteristics, looks, behaviour and health of both parents, the Yorkie and the Maltese, apparent in the Morkie. But since the Morkie is so new, you don’t really know which breed’s qualities will dominate, and even which parent the Morkie will most resemble physically. That explains the wide range in looks of the Morkie. he can be nearly white, with flopping down ears – thus very close to the Maltese. 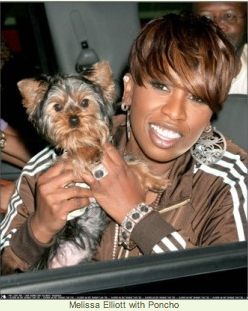 Or dark haired, with prick ears, like the Yorkie. And of course everything else in between, like a black white and beige Morkie with one ear standing up and one a little floppy. The Many Faces of the Morkie! **Good job you found us! 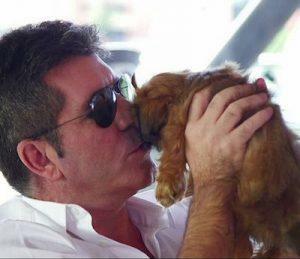 Simon Cowell, a well known meenie music mogul who seems to love to make performers cry, is a baby at heart himself. How do we know? 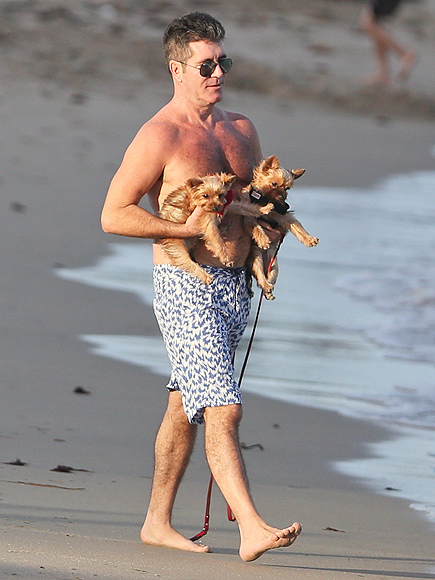 This great big 6’4″ man LOVES Yorkies! Enjoy these photos. 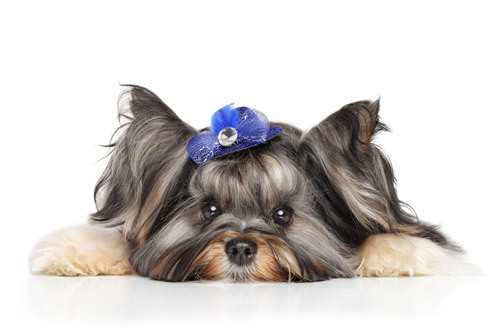 Want to learn more about these 3 wonderful toy dogs, the Yorkie, Morkie and Maltese? 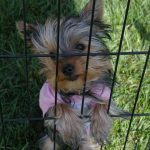 Are you thinking of getting a small dog? Have you considered one of the most popular –the Yorkie? 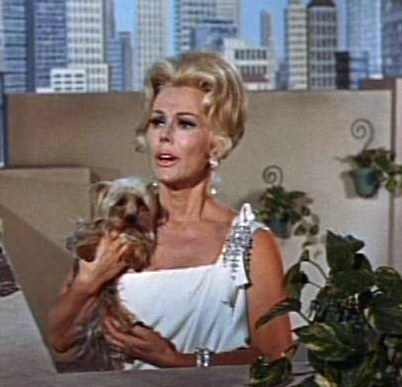 Or one of the most glamorous – the Maltese? When you cross these two pure breeds, you get a Morkie, the magical blend of Yorkshire Terrier and Maltese. These dogs may look similar…. But they’re really quite different from one another. 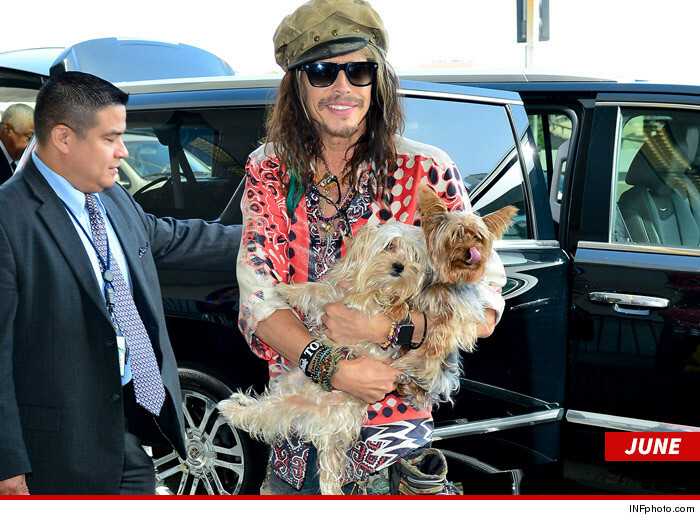 OMG Australia wants to kill Yorkies! 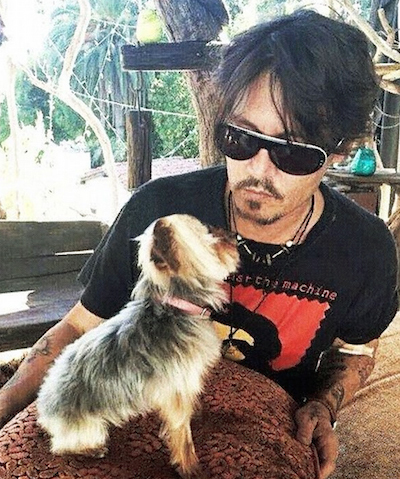 Luckily, Johnny Depp’s two Yorkies, Pistol and Boo, did in fact bugger off out today before Australia’s Minister of Agriculture had a chance to exercise his threat: euthanasia! Agriculture Minister Barnaby Joyce underlined the fact that there are no exceptions to their strict animal quarantine laws (even if you were the sexiest man alive, twice). In fact, if the Yorkies in question didn’t bugger off, in his words, they were dead. 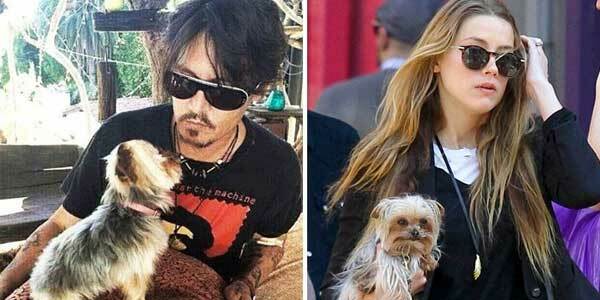 It seems Johnny Depp and his wife Amber Heard, had brought the Yorkies into Australia (and for an extended period) on a private jet and did not register them properly with the authorities. All animals must undergo a 14-day quarantine before being officially allowed to enter, in Australia and many other countries. 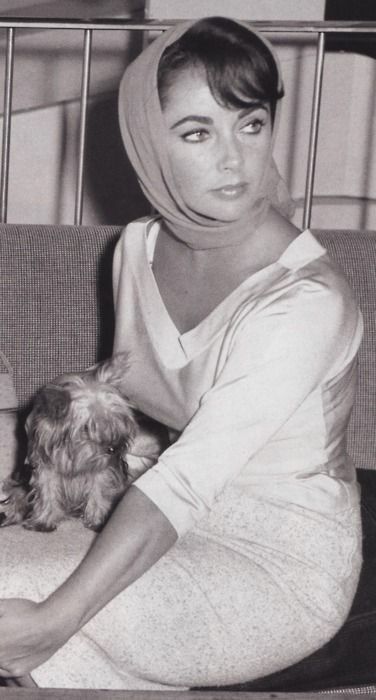 In fact, it’s almost impossible to bring a dog to Great Britain; when Elizabeth Taylor and Richard Burton were there to make a movie in the 60s, she was not allowed to bring her 4 dogs into the country without a SIX MONTH quarantine. Their famous solution – rent a 120′ Bolivian yacht and keep it in the Thames River as a floating kennel, so that technically the dogs had not set foot in the country! But meanwhile in Australia, Depp and Heard were in huge trouble with government officials and it all went (hilariously) viral. 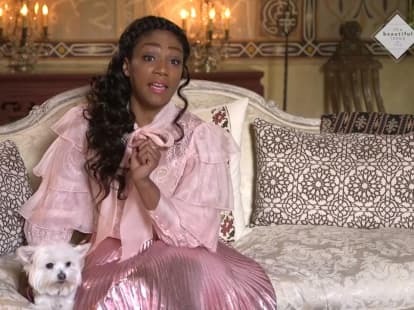 From the hashtag #WarOnTerrier to newscasters holding up signs on camera, “Bring Boo and Pistol home” … the internet was alight. But what’s the big fuss? Australia has strict biosecurity requirements for good reasons—to protect Australia from exotic pests and diseases that can seriously harm humans, animals and their economy. All animals entering Australia must have an import permit, which means they’ve passed the stringent requirements to get in. The problem is that dogs can carry diseases, including rabies, ehrlichia, leishmania and leptospirosis among others. We know all about rabies, but what are these other diseases? Ehrlichia is a tick-borne disease and is also called ‘tracker dog disease.’ There are 3 phases and all involve a lot of pain for the animal. Dogs in phase 3 with chronic ehrlichia usually die. Leishmania isn’t about leashes, it’s an infection carried by parasites (the sandfly) and is more common in the Mediterranean area than in North America. It’s also known as black fever. Signs and symptoms include emaciation, kidney failure, joint pain and more. This disease can be treated but it never really goes away; and…people can catch it from their dogs. Leptospirosis is a serious bacterial infection. Although there is a vaccine against it, it’s very dangerous for small dogs (with the highest rate of adverse reactions) and it’s effective against only 3 or 4 of the 120+ strains of the virus. Lepto as it’s called, can result in chronic fever, vomiting, dehydration, renal failure, severe infection and ultimately, death. This is another zoonotic – that is, people can catch it too. Be sure and check out BringFido.com – at this link, they summarize all the requirements for visiting other countries. 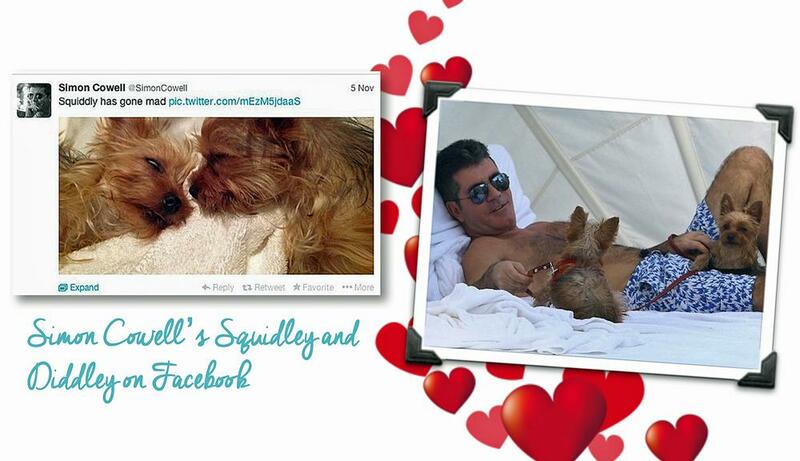 The Australian dog groomers who let the cat, er Yorkie, out of the bag by posting this pic of their celeb guests.